by Henryk Debski, Interpress Pub., Warsaw. Hardback, no DJ as issued, 476 pages. Recommended - a real find! Unlike the VG+ condition of our other listing of this title, this has some cover wear. 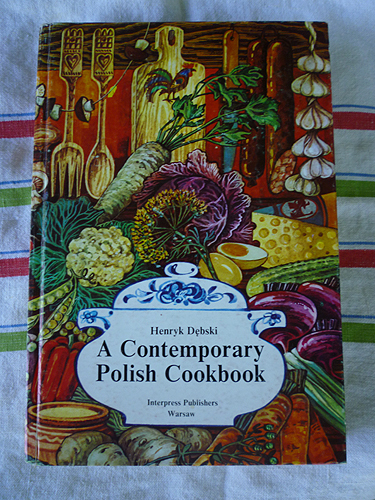 The author brings you modern Polish cuisine -- lighter and enhanced by an expanded range of ingredients thanks to European Union agricultural trade -- as well as the traditional dishes such as perogi, zrazy (meat rashers and rolls) and cabbage-based soups. The tip-off this book reflects the tastes of modern Polish culinary values is the author's dedication to "France's finest chef, Paul Bocuse." 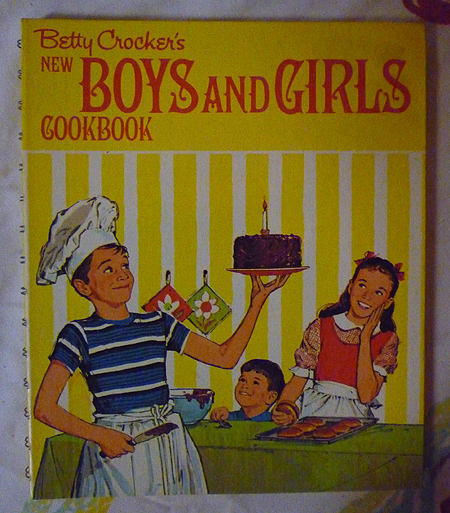 Many hundreds of recipes included, from Hors d' Oeuvres and Sauces to Desserts and Beverages. The Minister's Carrot Salad (grated carrots, peeled oranges, walnut meats combined with either whipping cream or thick sour cream, or Belvedere Uszka (Ravioli), with a filling of chopped lobster tails, dill and blanched ground almonds sound scrumptious. Recipes are listed in the old-fashioned way, as block paragraphs, rather than the separate listing of ingredients above the preparation directions. Again, the book is tight and clean, but shows cover wear, so VG. A bargain for a terrific book.